Monday evening we had our Big and Little Sister Rally on the flagpole field and the girls always love this night. They play silly games and generally have a good time. Last night the Big Chiefs drew for the title of Tribe Shows and the title will be “Unlike Anything Before.” Not sure where this will take them, but they never disappoint us and it’s always a creative time. Tonight is our first Cabin Night and the girls will have a box supper and do different activities all around camp. Remember, there is no visitation on Friday. If you visit on Saturday, be aware that the girls are in rehearsals for Tribe Shows and they may not have much time to visit. There are no picnics Tribe Show Saturday for lunch or supper. The girls will eat with their cabins and get ready for Tribe Shows at 9:00 pm. 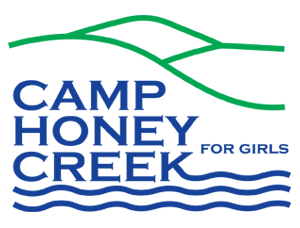 If you are planning to have a picnic on Sunday, please email us at camp@camphoneycreek.com and let us know. You are allowed ONE picnic either Tribe Show Sunday or Horseshow Sunday ~ we are counting on your honesty to make this picnic policy work ~ we DO NOT want to be picnic monitors. It’s a good day at CHC ~ crispitos for lunch and the girls are thrilled with this menu item. It’s a Camp thing ~ many of us do not understand this at all!